“Casale Tamara” is located at the border between Tuscany and Umbria, the two Italian regions mostly visited for their intact nature, a few km from the Trasimeno Lake. 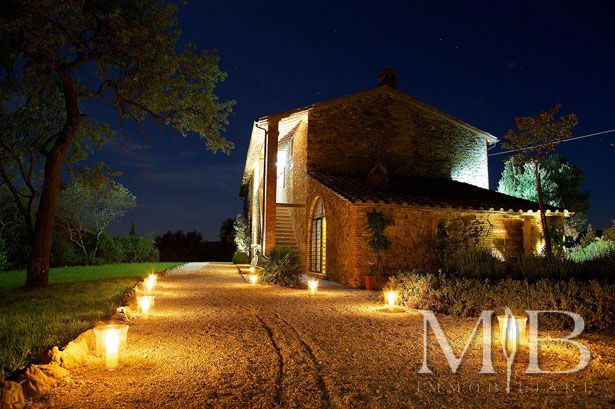 The property is situated in a wonderful position dominating the surrounding countryside characterized by olive grove. The Trasimeno Lake is reachable in about 4 km while the nearest village, Agello is about 1 km far. The property is made up of a main country house and two annexes to be restored. ·	Main country house, of about 380 sqm. Is disposed on two levels. On the ground floor there are: the entrance hall with the ancient wood oven, the living room with fireplace, dining room, kitchen, storeroom (with independent access) and service bathroom. Always in this floor, with independent access, there is a room of about 100 sqm. used as warehouse. There are two stair to the upper floor, one is external and one is internal; the first floor is made up of: a little sitting room, suite with sitting room, bathroom and a bedroom on the attic, in the corridor there are five bedrooms with en-suite bathroom. ·	Annexes, of about 80 sqm., is used one as warehouse and other is used to service of the swimming pool and here there is a small kitchen. The main house was renovated in 2006 and it is in a good condition of maintenance. Externally is in stone whereas internally there are “cotto” flooring and wooden ceiling beams. The room, on the ground floor, needs to be restored internally and can be allocated the SPA. While the two outbuildings needs of total renovation and in one could be created a small apartment while in the other there could be made local pool service. The property has about 1 hectare of land with garden and olive grove. In the garden there is a panoramic swimming pool. At the moment the property is used for some period as second home by the owners and in some period is rented weekly to tourist. 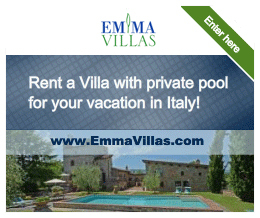 For more information about the weekly rentals market please consult the web site www.emmavillas.com.